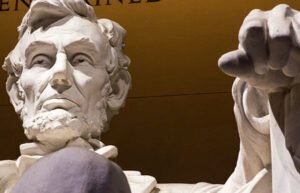 Manchester ~ Biographer Harold Holzer, recipient of the National Humanities Medal, will discuss Abraham Lincoln’s historic second inaugural address in a talk at First Congregational Church in Manchester on May 1 at 7:00 pm. His talk, “Lincoln’s Second Inaugural Revisited,” is part of the Vermont Humanities Council’s First Wednesdays lecture series and is free and open to the public. Historians rank Abraham Lincoln’s majestic second inaugural address as one of the greatest political orations in American history. But at the time, the speech generated entirely partisan responses even as the Civil War headed toward Union victory. Holzer will revisit the unforgettable day of March 4, 1865. “Lincoln’s Second Inaugural Revisited” is underwritten by Burr & Burton Academy. Manchester Community Library is sponsored by Mystic Café and Wine Bar, Spring & Harbor Boutique, and Union Underground. A statewide nonprofit organization founded in 1974, the Vermont Humanities Council seeks to engage all Vermonters in the world of ideas, foster a culture of thoughtfulness, and inspire a lifelong love of reading and learning. Because Ideas Matter.